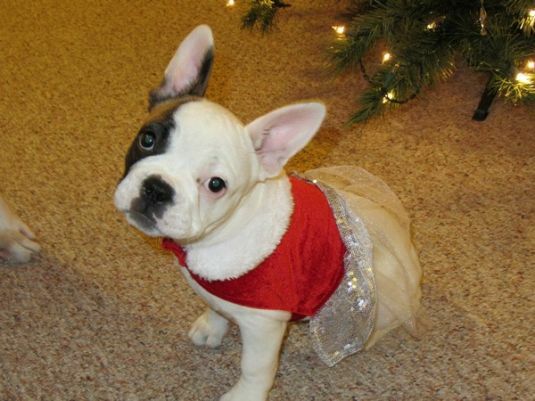 Athena is a spunky little French Bulldog. She was born on 9-11-11 so she is just turning 3 months. This is her first Christmas and we are SO HAPPY to have her! 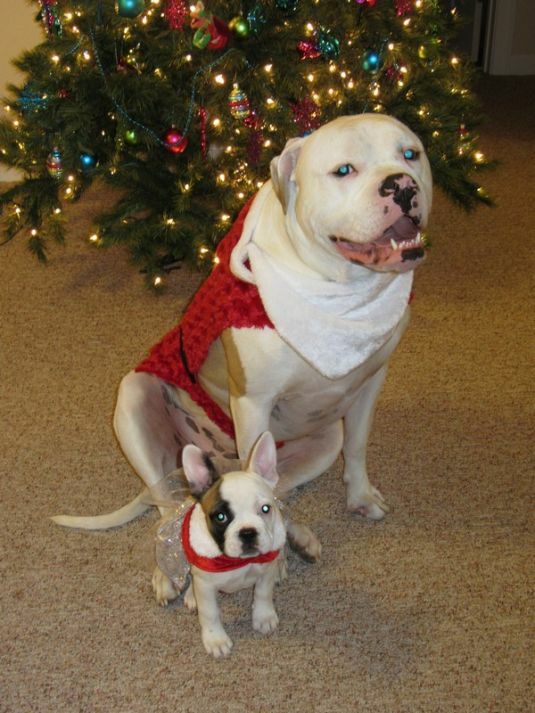 She loves to play with her big brother Achilles, our American Bulldog. What a pretty face ... they are so cute! These are the cuites dogs I've ever seen!